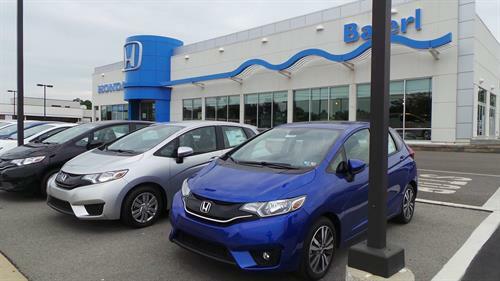 Baierl has 70% of the best brands at 100% of the best prices, including Acura, Cadillac, Chevrolet, Chrysler, Dodge, Jeep, Ram, Ford, Honda, Kia, Toyota, Scion and Subaru. We also offer a wide variety of used vehicles, including Certified Pre-Owned and budget cars. Our Truck Depot has an extensive inventory of work vans, trucks and commercial vehicles, as well as custom options and vehicle maintenance. Our service centers can handle all of your vehicle needs. Our factory-trained technicians provide a complete list of services to keep your vehicle in prime condition. We aim to make your visit as convenient as possible with our Express Service lanes and our alternate transportation program, featuring shuttle service and courtesy vehicles. Additionally, our professional detail services will protect your vehicle against harsh elements, while preserving its beauty, performance and value. If you maintain your own vehicle, our parts team stocks a wide range of product and are happy to find you the right ''tools'' for the job. If it’s time to replace your tires, learn more about Baierl Tires Direct. Our full-service program conveniently delivers exactly what you need at the guaranteed LOWEST price. And although we hope you’ll never need it, Baierl operates the finest, full-service collision centers in the region. To make the experience as painless as possible, we deal directly with your insurance company, while our experts return your vehicle to its pre-accident condition. Our three convenient locations service all makes and models.